Remember when I blogged about an art exhibit by MMA students a few months back? Well, here’s one art exhibit I would like to plug again but this time, it’s special to me because it’s one where some of my works will be featured. Yes, you heard that right. I’m part of an exhibit! If I may just borrow 5 minutes of your time to pay attention as I go on w/ the details, that would be great. Hahaha. ALRIGHT! 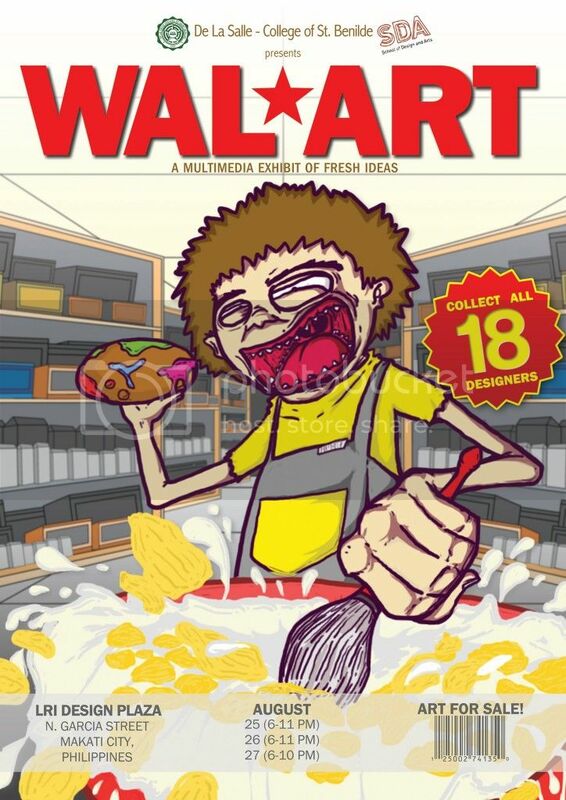 The name of our exhibit is “WAL*ART: A Multimedia Exhibit of Fresh Ideas“. This exhibit will feature different works from 18 students ranging from 2D/3D animation, graphic design, interactive media, video, and photography. Our theme is a supermarket, filled with “fresh ideas” (this would be our work). This might be my first and last exhibit to participate too.. hahahaha! Since this is a requirement, we’re required~ to have an exhibit and showcase what we can do from what we have done based on what we present to our visitors aka possible clients lol. WHEN: Exhibit will be open from August 25 – 27, 2011, 6PM onwards. Here’s our event poster! Click through to go to our Facebook page and RSVP yourself to the event! Hope to see you there. 😊 Just inform me if you’re dropping by (contact deetz are on the sidebar of my blog). You may repost this poster anywhere online too, along with this entry if you prefer because it has details.. Thanks! OHAI! I’m finally using the latest WordPress as of this post. There’s no yellow bar on top alerting me to upgrade to the new one otherwise, haha. 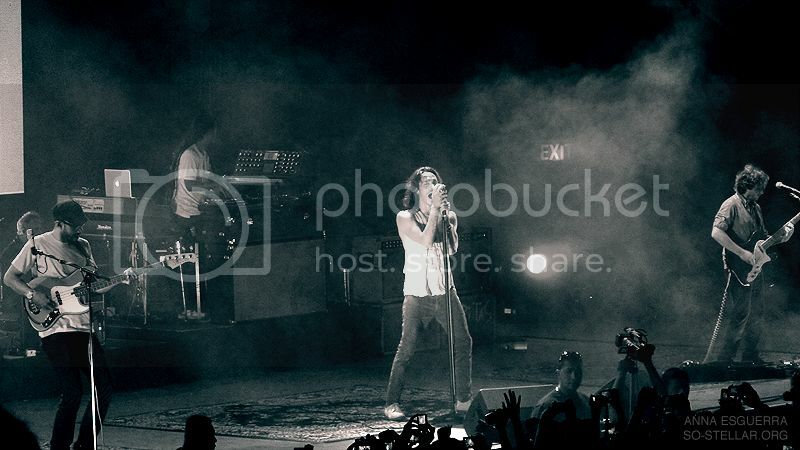 Anywayyyy, here’s the post-Incubus concert blog entry post everyone’s been waiting for. Took me a while to write this because I simply did not know how and where to start!! Lots of stories after the jump. I hope you like how this entry turned out and I hope to god I didn’t disappoint anyone if ever I left out any parts of the story. 3rd times the charm for INCUBUS! Hear, hear. It’s been a week since the concert.. have you guys moved on? I have been trying so desperately to move on but as the days go by I seem to be craving for more Incubus! I have watched too many videos, reblogged too many photos, ranted and raved about different aspects related to Incubus in my other blog, talked about it too much to my friends to the point that they don’t care anymore, found out too many things that I couldn’t handle about the band BEFORE the concert and AFTER the concert.. lastly, got disappointed at one point. As much as possible I’m going to be civil here and not unleash any fury of fangirliness.. I hope. Also, this will be a looooong entry because I didn’t blog about the last concert back in 2008, so I’m going to make up for that!